Mixes political satire with farce to create a hilarious original comedy replete with scandals, mistaken identity, confusion and humour, reflecting our current political landscape. 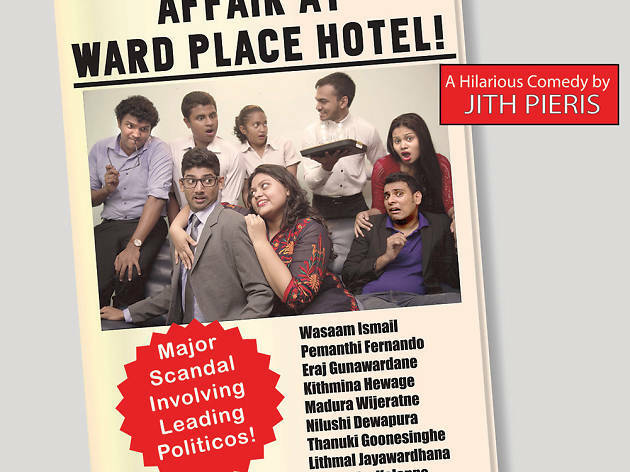 The Ward Place Hotel has had its fair share of scandals, but none like the one about to unfold when State Minister Ranjith Wijesundare decides to spend an evening there with his film star mistress. Unknown to him, however, a key member of the opposition is also at the hotel, with a cunning plan to topple the government. Hilarious mayhem ensues.